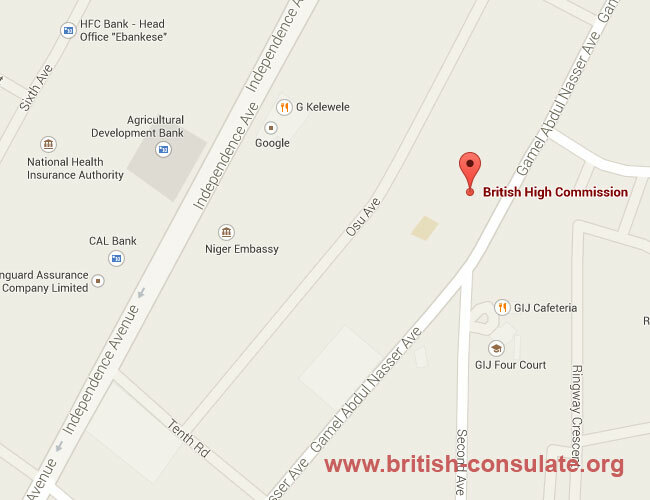 If you are in Ghana or traveling to Ghana then you will find the British High Commission located in Accra in Ghana. We have listed a map to the embassy in Accra and also all the contact details for the High Commission in Ghana. If you need a British visa then the embassy will be able to assist you. As a British expat or a tourist you can obtain assistance at the High Commission with regards to birth registration, marriage registration or you can also apply for a British passport at the High Commission. Note that they are locate close to the Ginger Bread International School in Accra.